Free Wi-Fi access and a flat-screen TV with satellite channels are provided in this en suite room, which looks out onto the hotel’s central courtyard. 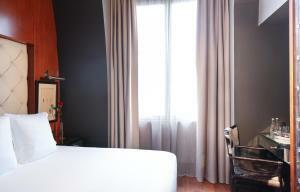 Free Wi-Fi access and a flat-screen TV with satellite channels are provided in this spacious, en suite room. 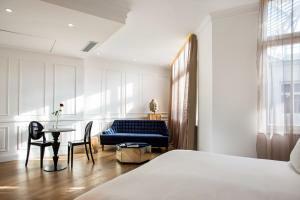 It has contemporary décor and looks out on Paris’s Opera district. 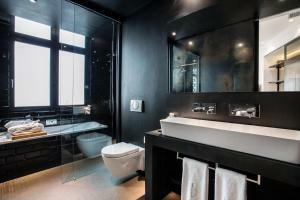 Free Wi-Fi access and a flat-screen TV with satellite channels are provided in this en suite room. 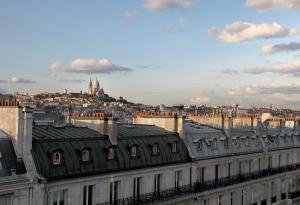 It has contemporary avant-garde décor and some rooms have views of Sacré-Coeur Basilica. This spacious room features a seating area with sofa. 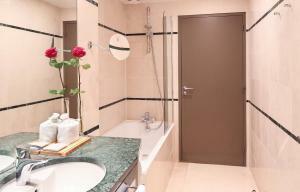 Free Wi-Fi access and a flat-screen TV with satellite channels are provided in this en suite room. 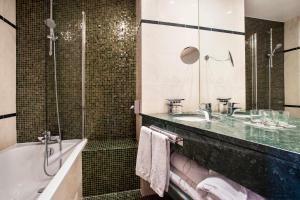 Some deluxe rooms have a hydro-massage bath. This spacious room features a seating area with sofa. This spacious suite features a living area with a sofa, Bluetooth speakers, free WiFi access and a flat-screen TV with satellite channels. Some have a marble fireplace. This room can accommodate a baby cot. 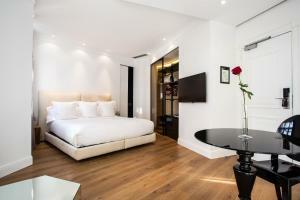 This single room features air conditioning, minibar and flat-screen TV. Rate: € 200.00 ... € 780.00; select dates below to get current rates.